When Barbara of Winos and Foodies announced that she would once again be hosting A Taste Of Yellow to celebrate LiveSTRONG Day I knew two things for sure: 1. That I was definitely participating (like I did last year!) and 2. What exactly I would make. And when I found out, after casting my net in the Net, that this was none other than what is known in some parts of the world as Cream of Wheat, I realized it was part of my childhood breakfasts too! So, for A Taste Of Yellow 2008, I’d like to submit these tiny yellow grains and the wholesome and comforting porridge they make…simple and humble, yet touching the memories of people from Europe, Africa, America, and all the way here to my island in the Phillipines. – Heat milk in a heavy-bottomed saucepan until almost to the boil. – Stirring with a wire whisk, add semolina in a thin stream. – Cook for a couple of minutes, stirring continuously, then turn off the heat (or leave at the barest minimum) and cover the pan. Leave covered for about 15-20 minutes, stirring every now and then to prevent porridge from burning or forming a skin on its surface. 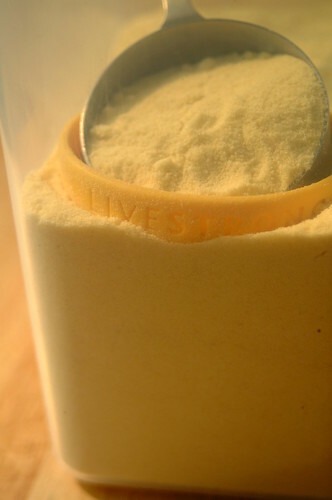 Semolina comes from durum wheat (and other hard and softer wheat) and is used in making pasta, couscous, and bulgur. It is also used to make puddings, desserts, and cakes. In India it is used to make rava dosa and upma. In Greece they use semolina to make halva (which has its own versions in Cyprus, Turkey, Iran, and other Arab countries). Cream of Wheat comes from semolina taken from a softer kind of wheat. « Perfect Party Cake…Do I Dare? Can you tell me please how much semolina and water i need for one serving and also for two servings. Hi Anon! This recipe made about 2 servings for us 🙂 Hope that helps! 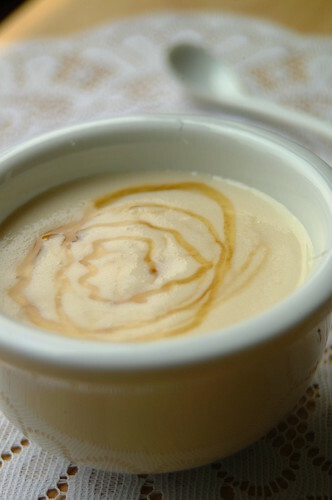 This recipe is wonderful for those new to semolina porridge! For those making a single serve, I heat 1 and a bit cups of milk (you can add a dash of milk at the end if it's too thick to your liking) and 1/4 cup of semolina.. Also you don't need to let it stand so long if you prefer to eat it hot. Try this recipe with sultanas that's how my grandma makes it, it's delicious. Mmm. Delicious! Thanks for posting the recipe. I just came from the dentist – had root canal! I am so hungry but can't eat any "solid" food for at least an hour. However, I remember when my kids were young and came from the dentist, I would make them Cream of Wheat. It is easy to get past the gums without chewing and really fills the spot. I am going right now to make myself a batch. Hi, do you mean semolina flour or coarse semolina?